There is so much more to Zach than just football but keeping with the theme of the season any football coach will tell you that it is a game full of life’s lessons and not just points on the board. At the doorstep of spring ball we have found out Zach has cancer and all his off season prep, hope and dreams for his senior season will now be focused on a winning a different game. Growing up in the sport of football you realize that every moment in life is a Friday Night Lights moment when you strive to rise above adversity in the Game of Life. 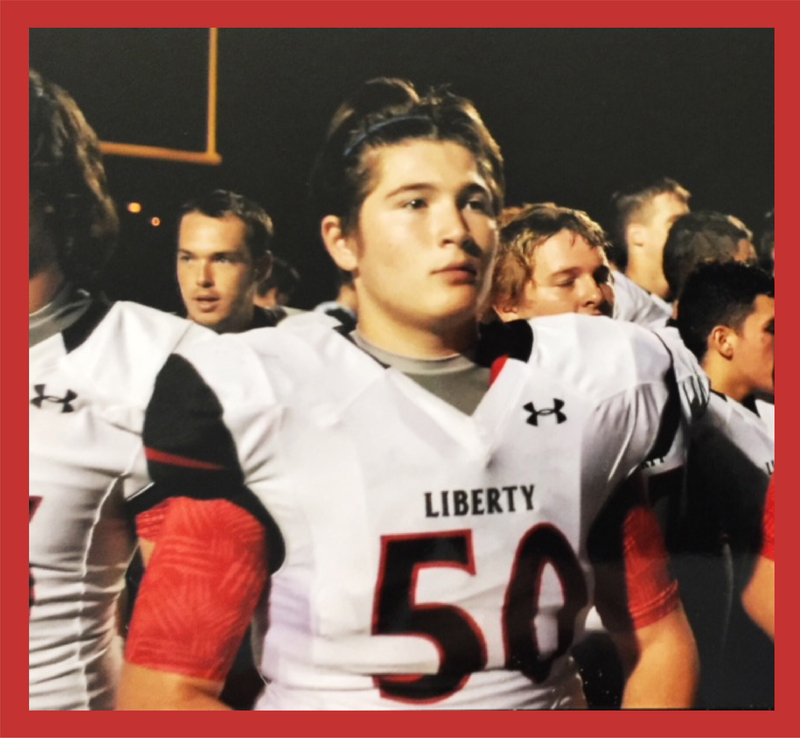 On Wednesday the 25th of April 2018, Zach full of anticipation of spring football and prepping for his senior season as part of the family Pride of the Liberty Lions football team, took a physical with the teams physician and found he may have a meniscus tear in his left knee and immediately set Zach up with an MRI on Friday morning the 27th to confirm or deny the potential torn meniscus. Three hours after completing the MRI he received the information that the test came back as showing a growth in his left knee, those results were shared with several other Doctors at the Mayo Hospital who believed it was cancer. They immediately set an appointment at the Mayo Hospital for blood tests and another MRI with dye for Monday morning The 30th of April. Later that night at the conclusion of those tests he made the first day of practice on crutches holding onto hope and wanting to be with his team. On Tuesday the 1st of May the Mayo Hospital conducted a biopsy of the mass and the very next day we were informed that his battle against an aggressive form of cancer called osteosarcoma had begun. On Friday May 4th Zach will under go more test to determine if the cancer has begun to metastasized (spread to other areas of his body) or if it is localized to just the area of the left knee. On Monday morning May 7th Zach will meet with his new found team at the Mayo Hospital to begin implementing the game plan of chemotherapy, radiation and surgery to save his life and his leg. Far West Steelers are rooting for you ??? ?